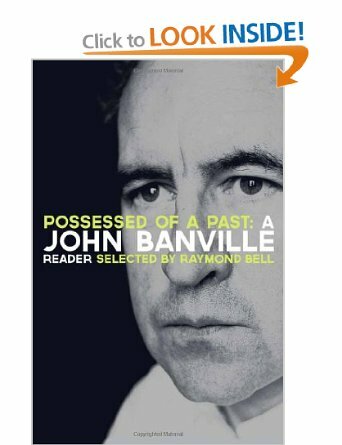 The material collected here is a treasure trove, a fine retrospective and a comprehensive guide to the work of Ireland’s greatest living novelist, John Banville. Selections are drawn from all of his novels, up to and including 2012’s Ancient Light; each piece standing alone, short-story-like, but also resonating with those around it and representing the novel from which it comes. There are radio plays, some published in print for the first time here. There is a judicious selection of his essays and reviews. Perhaps most beguiling of all are the pieces of memoir, the early work (including Banville’s first-ever piece of published fiction, from 1966) and the chance to see facsimiles of the handwritten first draft of the opening section of The Infinities. Possessed of a Past is an extraordinary document of the writer’s life and work across nearly fifty years of practice, simultaneously offering the perfect introduction to Banville’s sublime art and manna to devoted readers.